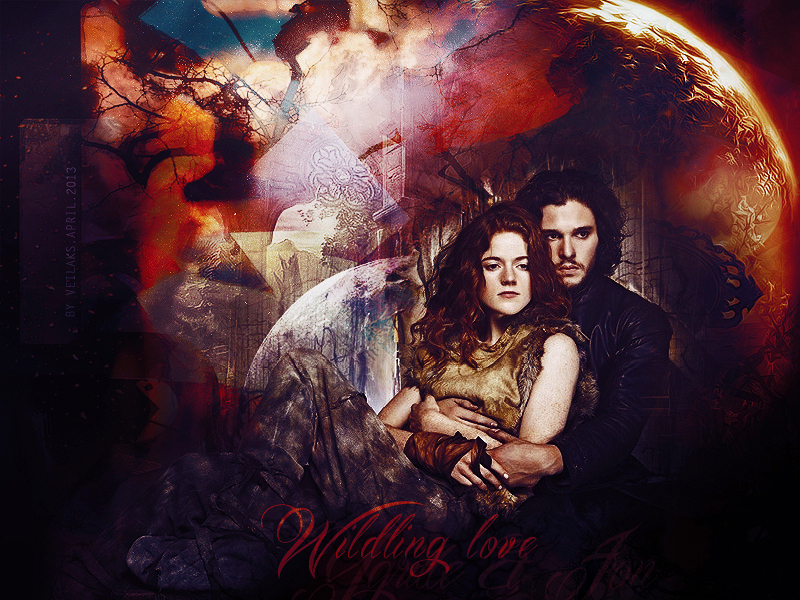 Jon Snow & Ygritte. . HD Wallpaper and background images in the Game of Thrones club tagged: game of thrones season 3 kit harington jon snow rose leslie ygritte kissed by fire. This Game of Thrones wallpaper might contain anime, comic, manga, cartoon, comic buch, karikatur, and comics.